The Florida Panthers have been wheeling and dealing so far on this Saturday, completing three separate deals with three separate teams. First, they acquired Jiri Hudler from the Calgary Flames in exchange for a 2016 second round draft pick and a 2018 fourth rounder. Then, they snagged Teddy Purcell from the Edmonton Oilers in exchange for a third round draft pick and picked up Jakub Kindl from the Detroit Red Wings in exchange for another draft pick. 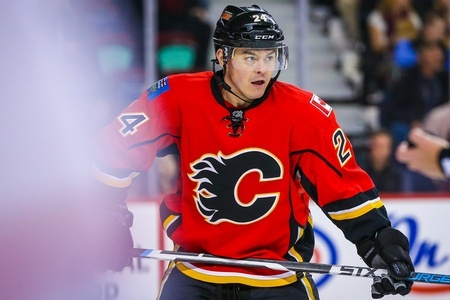 The 32-year-old Hudler is in the final year of a four-year contract worth $16 million. He has 35 points in 53 games, including 10 goals, and brings a solid veteran presence to the Panthers. Hudler won the Lady Byng Trophy last season and is a veteran of 657 NHL games. He’s spent time with the Flames and Detroit Red Wings. Purcell, an undrafted free agent, has 294 points in 544 regular season contests. There was a lot of talk regarding his future in Edmonton, with rumours suggesting he was on the blocks. While he did find some momentary success on a line with Leon Draisaitl and Taylor Hall, his tenure with the Oilers this season has been disappointing. Purcell has seen playoff success before, however. He was with the Tampa Bay Lightning when they made a trip to the Eastern Conference Finals in 2011 and he has 18 points in 22 post-season games. The 29-year-old Kindl has spent his entire career to date with the Red Wings, but he hasn’t exactly made waves. Detroit will retain 15 percent of his salary as part of the trade and the pick looks to be a sixth rounder for the 2017 NHL Entry Draft. Kindl split the season with the Red Wings and the Grand Rapids Griffins and has 19 games of post-season experience. Obviously, these trades help the Panthers shore up their roster for what they hope is a deep playoff run. They sit atop the Atlantic Division with 77 points going into Saturday’s action, which puts them three points ahead of the Tampa Bay Lightning Boston Bruins.